The 'length' is measured from the bottom of the zipper to the bottom of the bag. CLEARZIP® Brand clear 2 mil reclosable bags offer outstanding clarity and durability at economical prices. These 2 mil clear ziplock bags are suitable for lightweight applications. The strong zipper top ensures an easy seal over and over as the bags are reusable. All CLEARZIP® plastic zipper bags meet FDA/USDA specifications for food contact. CLEARZIP® Brand clear 4 mil reclosable bags offer outstanding clarity and durability. These 4 mil clear ziplock bags are suitable for regular duty such as shipping, packaging and storage applications. The strong zipper top ensures an easy seal over and over as the bags are reusable. All CLEARZIP® plastic zipper bags meet FDA/USDA specifications for food contact. CLEARZIP® Brand clear 6 mil reclosable bags are the thickest ziplock bag we offer. These 6 mil clear ziplock bags are suitable for heavy duty applications, reducing the chance of tears or punctures. The strong zipper top ensures an easy seal over and over as the bags are reusable. All CLEARZIP® plastic zipper bags meet FDA/USDA specifications for food contact. CLEARZIP® clear White-Block reclosable bags available in 2, 4 & 6 mil. Perfect for write-on labeling using marker, rubber stamp, grease pencil or pen. All CLEARZIP® bags meet FDA/USDA specifications for food contact. Your choice of clear or white-block and 2 mil or 4 mil. All CLEARZIP® bags meet FDA/USDA specifications. A case of the CZA2 has 100 each of sizes 2x2, 3x3, 3x5, 4x6, 5x8, 6 x 6, 6x9, 8x10,10x12 and 12x15. A case of the CZA4 has 100 of each of sizes 2.5x3, 3x5, 4x6, 5x8, 6x6, 6x9, 8x10, 9x12, 10x12 and 12x15. A case of either CZA2WB or CZA4WB has 200 each of sizes 2x3, 3x5, 4x6, 5x8 and 6x9. CLEARZIP® clear Slider Lock 3 mil reclosable bags offer outstanding clarity and durability. Easy to grip slider for a quick locking seal. All CLEARZIP® bags meet FDA/USDA specifications for food contact. CLEARZIP® clear Polypropylene Bags 2 mil reclosable bags offer clearer visibility and longer protection for food products. These bags meet FDA/USDA, GMP, AIB requirements for food contact and are Kosher approved as well. They help reduce evaporation/dehydration, preserving newness and taste longer. 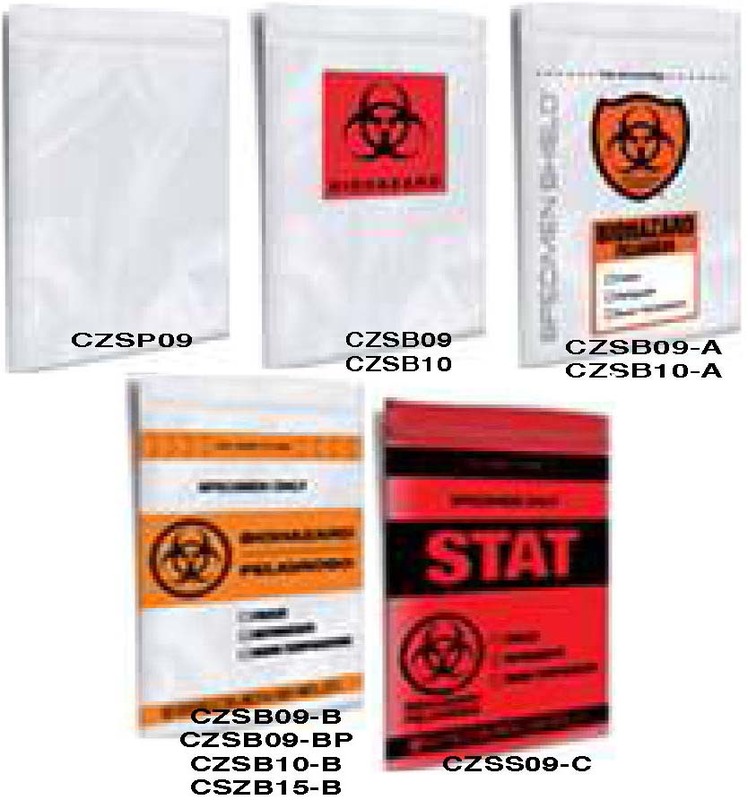 CLEARZIP® clear Biohazard Specimen Shield™ Bags with Attached Document Pouch - zip locking 2 mil. 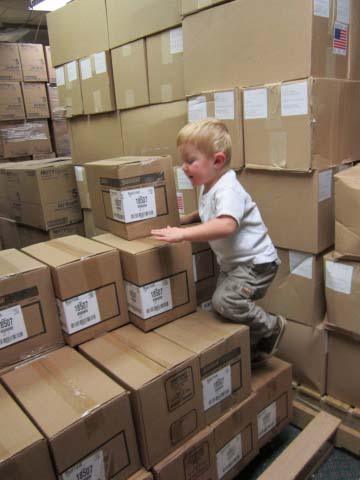 Meets NCCLS guidelines for secondary containment. The bright red and black Biohazard print is easily noticed and meets OSHA specs. These bags help protect health care workers from specimen leaks as well as keeping the contents free from contaminants such as dirt or moisture. The document pouch is a helpful way of keeping patient information from being misplaced or compromised during transit. CLEARZIP® clear zip locking 2 mil Biohazard Specimen Shield™ Bags with Attached Document Pouch but NO IMPRINT. CLEARZIP® clear zip locking 2 mil Biohazard Specimen Shield™ Bags with Attached Document Pouch WITH IMPRINT. CLEARZIP® clear zip locking 2 mil Biohazard Specimen Shield™ Bags (with No Pouch). CLEARZIP® clear Leakproof 3 mil reclosable bags have a double locking zipper to keep contents air & water tight. Made of durable Serinex™ material for long-term handling & storage. 250 bags per case unless otherwise noted. 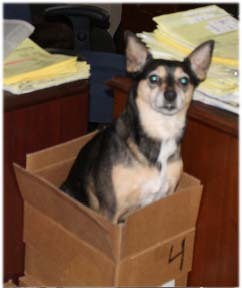 CLEARZIP® clear Press-on 2 mil Reclosable Bags or Envelope Bags for Shipping Documents. Pressure sensitive adhesive backing sticks to most surfaces. Easy zip seals out moisture, dirt and other contaminants. Also great for job tickets and paper needing repeated checking. CLEARZIP® clear Parts and Samples Preprinted 4 mil Reclosable Bags. 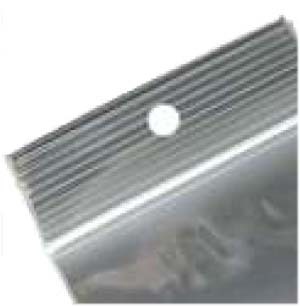 Heavy-duty puncture-resistant thickness is perfect for parts. 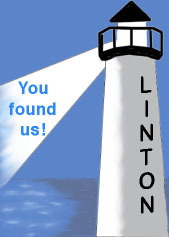 Red letters are highly visible for ready identification. White block allows added marker writing. Comes with a convenient hang hole.